Good morning, babes! I hope you all had an amazing holiday. Mine was pretty awesome and I loved having some time off with the little guys and my fiance without having to worry about deadlines. But, guys. It's so nice to be back to bloggin'! Hey, anyone a Korean beauty fan? ✋ This chick is. I am obsessed with Korean beauty products (especially their skincare) and am so excited for today's post where I dive into a little bit of it. Today, I'll be talking about The Skin Forum, a site best known for their 6-Step Facial in Box where you can subscribe to a curated box of masks, serums and more sent directly to your door every month with everything you'll ever need for an at-home facial! Sign a chick up, am I right? 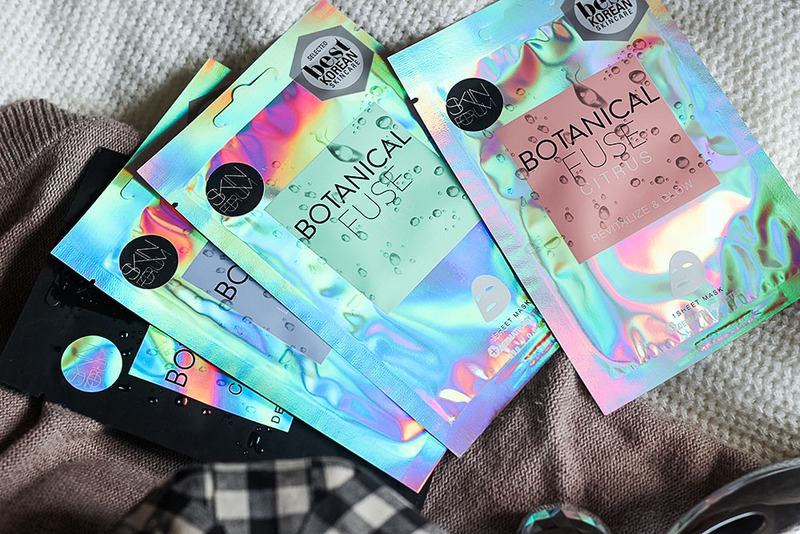 Today, I'll be checking out their Botanical Fuse Sheet Mask line as well as their slightly suggestive-looking 3D Contour Lifter and Body Shaper. I am a huge fan of sheet masks. They're easy to use, normally not too messy and deliver some awesome results! The Skin Forum Botanical Fuse Added bonus: Some can look pretty creepy when you put them on and might scare the crap out of your kids! Botanical Fuse: Citrus | Revitalize and Glow ($7) - This face mask contains orange, lime and grapefruit to zap your skin back into shape and give it the glow we know is hiding in there! I loved using this in the morning to wake me up and start off the day with a little extra pep in my step (and skin)! Botanical Fuse: Herb | Calm and Supple ($7) - Around that time of the month, I break out like crazy and I need something to calm and soothe my skin. This face mask comes packed with Witch Hazel, Rosemary, Aloe and Green Tea to soothe any redness, skin irritations and premature aging. Botanical Fuse: Lavender | Soothe and Relieve ($7) - With the harsh winter weather can come dry, dulled skin and sometimes my skin can use some extra TLC. 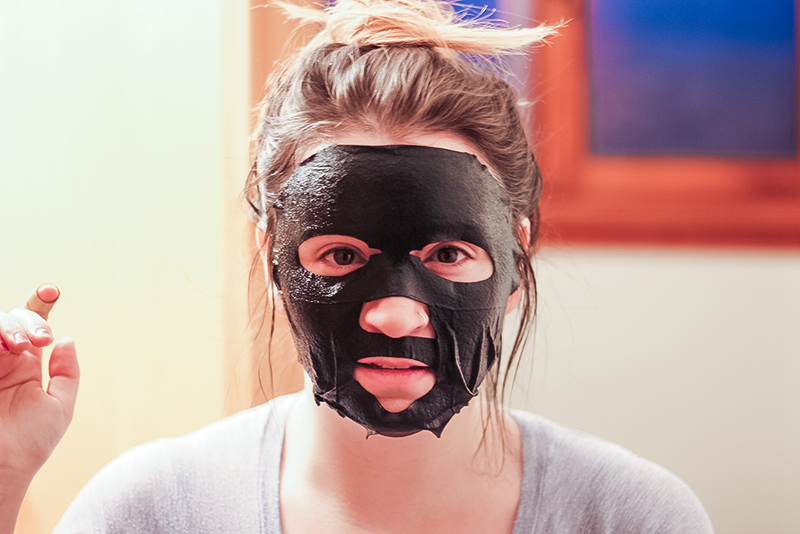 This face mask will give you sweet dreams (and soft skin!) with all the Lavender oil, Aloe, Rosemary and Chamomile in it. *This face mask was my absolute fave! 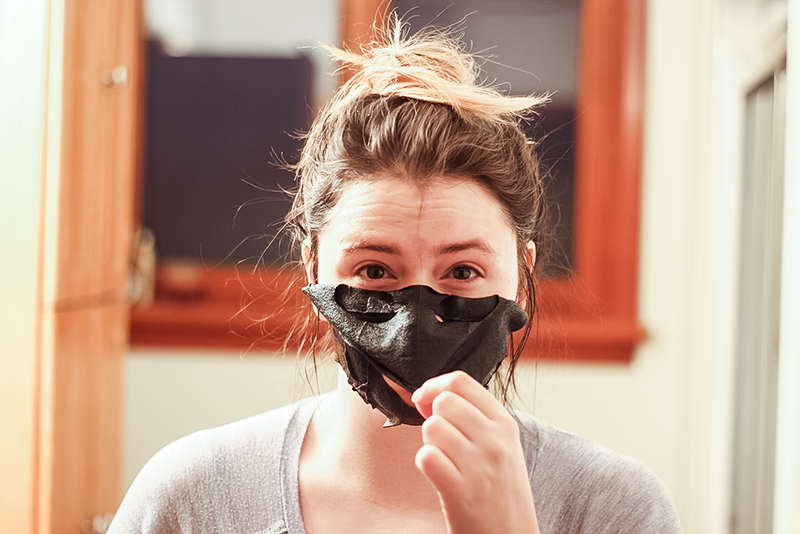 Botanical Fuse: Oxygen Bubble | Purify and Brighten ($9) - This oxygen-infused black charcoal mask is ready to kick your skin into gear. Once you apply the mask to your face, the mask will start to get bubbly! Wash the bubbles off for firm, plump skin. *This mask scared the crap out of my son! I ended up having to take it off before I was supposed to but did notice that skin felt nice and smooth, nonetheless. Unfortunately, I didn't get to take pictures of it! 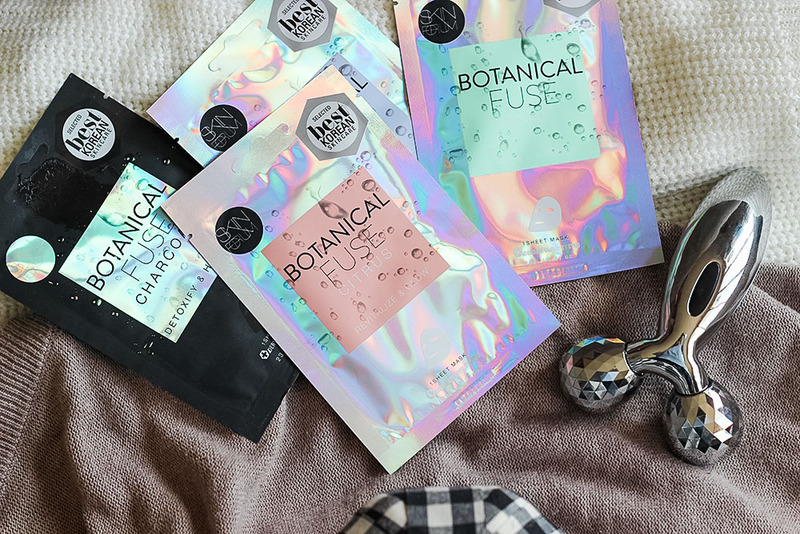 Botanical Fuse: Detoxify and Hydrate ($9) - Who doesn't love a good charcoal mask? 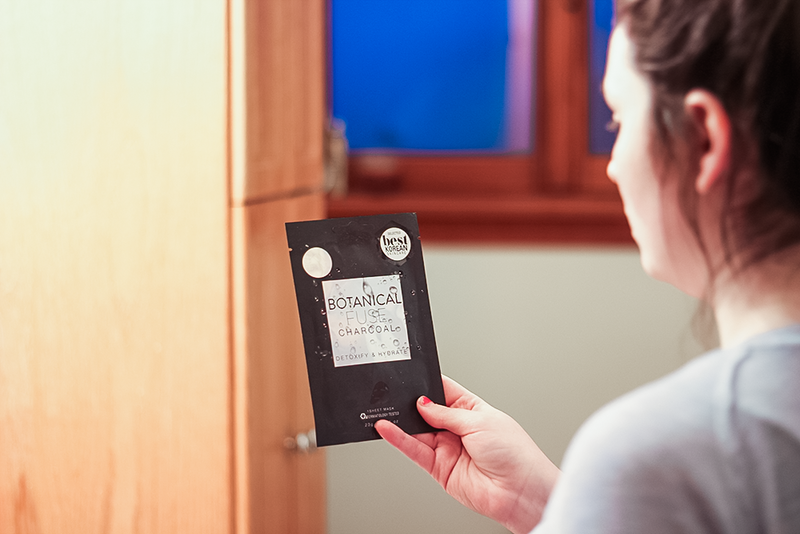 With Activated Charcoal mixed with botanical ingredients, this mask will hydrate, detoxify, purify and restore your skin while pulling out all the impurities. 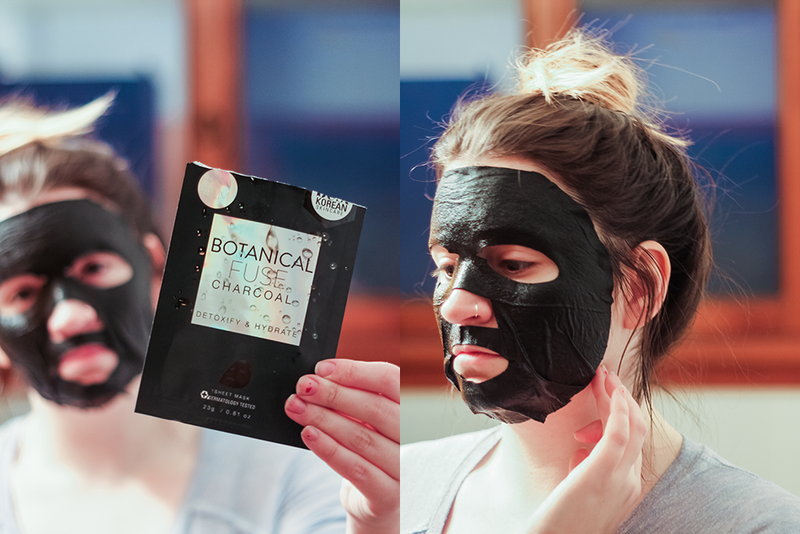 This mask is a total guilty pleasure! Each mask is super easy to apply. Each face mask sheet is folded neatly in the packaging. 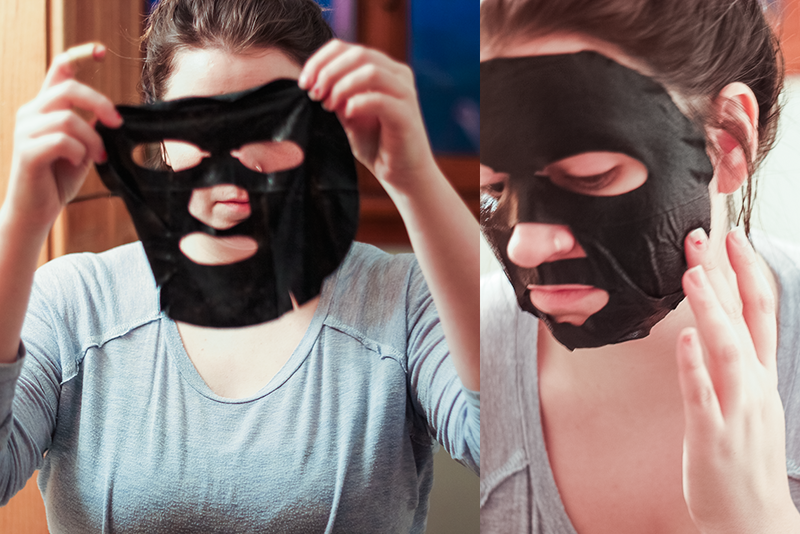 Unfold the face mask and apply to your face. 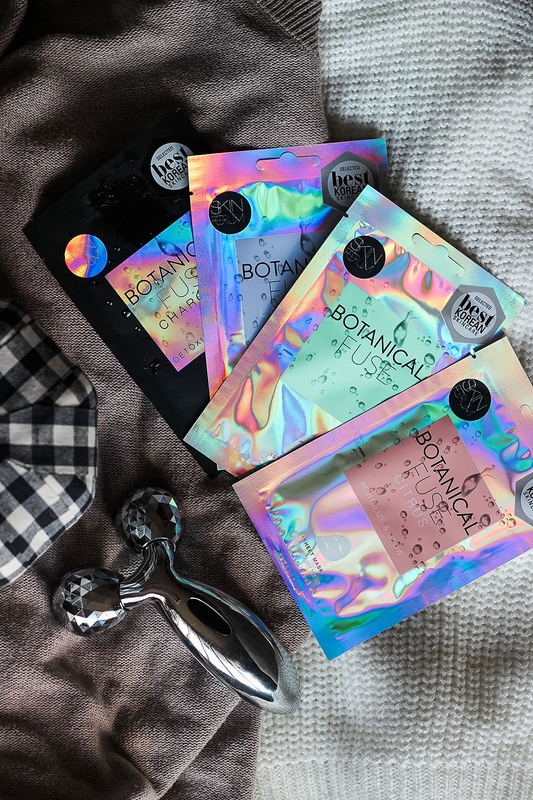 Depending on which face mask you choose, you can remove the mask after the amount of time needed (it'll say on the back of the packaging) and you will either wash off the remaining product or rub the rest in without rinsing! 3D Contour Lifter and Shaper ($20) - Wait. Don't go! I swear, this thing is not what it looks like. Albeit suggestive, it's actually a tool to your massage as well as body shaping and to your facial treatment. According to the site, it can slim and lift your face as well as boost circulation and enhance firmness. 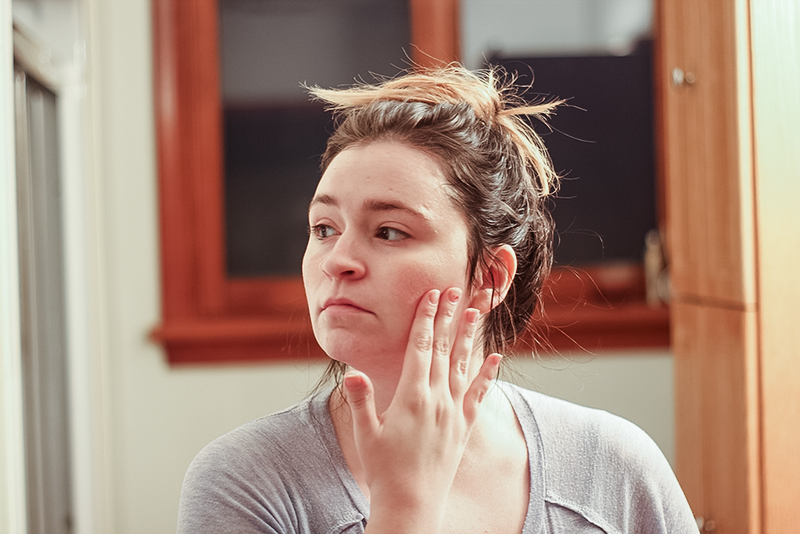 The site suggests rolling the massager down the facial jaw line starting at the earlobe and working down. Okay. So I'm not quite sure about the whole face slimming thing, but this thing gives one heck of a massage! The balls roll down and kind of have a disco ball texture to them (does that make sense?) but it's not too hard and not too soft. It's perfect. The handle is comfortable to hold as well. Have you tried Korean skincare products? Which ones are your favorites?